You will have to travel to ‘West Papua’ or “Irian Jaya” on the western half of Papua New Guinea to find this golf course, which is situated in the middle of a rainforest jungle! While you’re getting ready to tee-off, in the hope of achieving Eagles or Birdies on the lush greens of this truly remarkable 18 hole championship golf course, there is an abundance of birdies in the jungle tree-tops. Most tropical & exotic birdlife you could ever imagine including the very rare Bird of Paradise, The White Sulphur Crested Cockatoos and the very impressive Hornbills. All singing a cacophony of birdsong which is just magical. However, if this is your first time playing golf at this wonderful and unique golf course, it might require some additional concentration so not be distracted by the noise around you! This prestigious par 72 golf course, which was built by the renowned golf course designer and Tour Player Ben Crenshaw (along with and Bill Moore). It was opened in 1996 and joins a growing list of the unique golf course of the world. From your very first tee shot, you get an insight into the magic of actually playing golf, in a real living and very imposing rainforest jungle, which make you think about every shot very carefully. Of all the holes on this beautiful course to single out just one great golf hole. However, if there is any hole epitomises this course better, it would have to be the par 5, 11th which plays very close to 500 metres from the back tees. 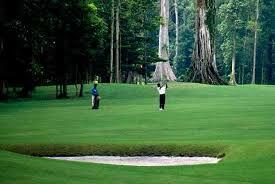 The hole meanders gently left to a lush green, which lies in an amazing clearance surrounded by more jungle. Set in the foothills of Indonesia highest and most sacred Puncak Jaya Mountain and totally surrounded by the very impressive dense Irian Jaya Jungle. The two designers have captured the uniqueness of the large and beautiful ironbark fig trees (some of them over 100 metres high) and the great diversity of the flora & fauna that make this place special. Many species of wildlife can be seen while you play your round of golf including Cassowaries, Wallabies, reptiles, insects and much more. If you’re lucky you may even catch a glimpse of the infamous but well protected Boelen’s Python, however, golfers are advised that if their wayward shots, land in the dense jungle, it would be best to leave them where they are!!! 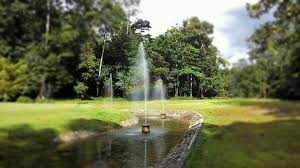 This ancient rainforest frames this golf course so well, which has a significant amount of tropical rainfall, but the course has been so well planned, that all the excess water is channelled into the rainforests natural streams. It still remains a fragile environment, with the locals and overseas visitors all contributing in helping to maintain a fine balance with nature. I would like to thank my good friend Dennis G. Kloeth of Indo Golf, who was kind enough to help me to obtain a lot of the facts and also pictures of this wonderful golf club. 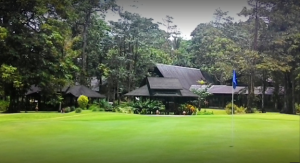 Share the post "Unique Golf Courses of the World – Rimba Irian Golf Club…"
« Which Golf Ball is right for me?